Here’s an up-to-date list of local accommodations. 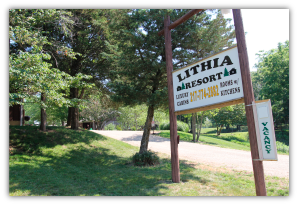 Lithia Lodge, Luxury Cabins, Motel Rooms: Campfire rings, grills, picnic tables, playground. Parking with electric. Catch and release fishing ponds. Open April thru November. Please call for Pet Policy. Fishing Guide Service Available. Enjoy a peaceful wooded country setting on over 20 acres bordering U.S. Army Corps Property. 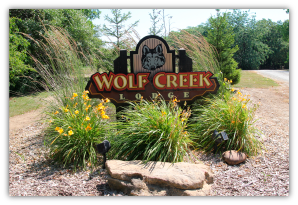 1,2, & 3 bedroom units include full kitchens, porches and patios, grills, adn campfire rings, 2 night minimum, 3 night on holidays. Open all year. Please call for pet policy. 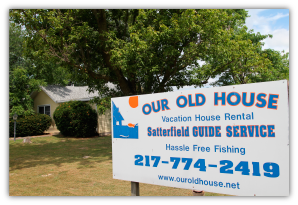 Only 1/2 mile from the Lake with Seven clean and comfortable kitchenettes; air conditioning & heat. Towels and beds linens are furnished. Kitchens are fully equipped with pots, pans, table settings, coffee maker & toaster. Open April-November. Please call for pet policy. 1200 sq. ft. house, 3 bedrooms, 2 full baths, central air. Garage with electicity. 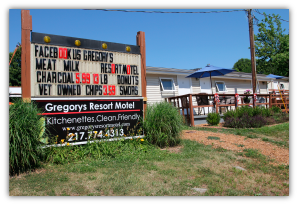 Fully equipped kitchen, washer & dryer, linens, Satellite TV. Stocked fishing pond, fishing guide service available. Grill, campfire ring, swimming pool. Two night minimum. WiFi. Pets Allowed. 2.5 miles east of dam on Rt.16. Rental cottages and log cabins with air, TV, kitchens & bath. 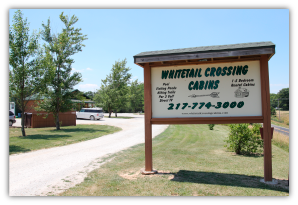 Nine cabins. Also over 200 sites, mostly wooded. Water, electric and sewer. In-ground outdoor pool, 2 bathhouses, pavilion, game room, playground, store. Open April 1 – October 31. Wi-Fi. Please call for Pet Policy. Four cabins, 2 Bedroom House, 3 Bedroom House!! 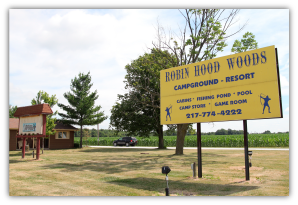 Campfire rings, grills, picnic tables, playground. Parking with electric. Open April thru October. Please call for Pet Policy. Fishing Guide Service Available. 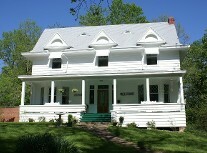 A 1920s Sears Roebuck bungalow centrally located between Shelbyville, Pana, and Assumption. A beautifully secluded country home – fully furnished. Sleeps eight in four bedrooms with two full baths and laundry facilities. A fully furnished kitchen and dining room with seating and place settings for up to 16. A huge yard is available with a gas grill, fire ring, and picnic table. Plenty of parking space for cars and boats. RV hookup available (both 30 and 50 amp). Situated on a working organic farm. A rural gem! Two night minimum stay. 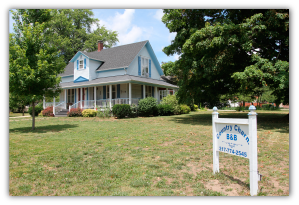 A charming, historic 1858 Inn with 4 nostalgic bedrooms on the second floor. 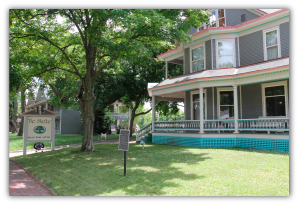 Relax on their spacious front porch after enjoying a bountiful breakfast and then enjoy a walk through historic Shelbyville. Less than 3 miles to lake. Open Year Round. No pets allowed. Kaskia Woods Estate offers a quiet, secluded location within Shelbyville, Illinois city limits. 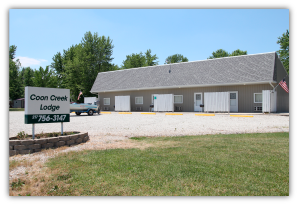 We are walking distance to downtown Shelbyville to see local events, and just blocks to the park and beach area to enjoy Lake Shelbyville. Offers accommodations for 12 people with 5 bedrooms, 2.5 baths, approximately 3000 sq feet. Fully equipped kitchen, screened in porch area, family room, dining room, library and living room, surrounded by the beautiful and picturesque Kaskia Woods in Shelbyville, Illinois. 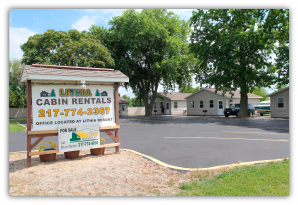 Standard and deluxe accommodations – 45 rooms; high-speed wireless connection; nearby attractions & events; newly expanded boat parking w/electricity; 24 hour voice-mail; cable TV; comfortable and charming setting; convenient to golf, boat ramps and recreation areas; AAA rated. Open all year. No Pets Allowed. Twenty-one rooms 2-3 bed units with microwave, refrigerator, TV, hair dryer, Jacuzzi suite available. All rooms on ground floor. Free electric hook-ups for over 30 boats. 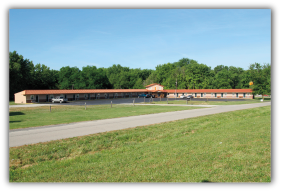 Located across from the Dam spillway, Lake beach & boat launch. Open all year. Wi-Fi. Pets allowed for nominal fee. Twelve clean, modern kitchenette rooms; AC/Heat; TV and telephone; boat parking w/electricity; covered pavillion, grills, and fire pits; Bait shop & store; 60 seconds from Lithia Springs Marina boat launch. Friendly and clean, surrounded by U. S. Army Corps of Engineers Land. Open April 1 – Oct 30. Wi-Fi. Please call for pet policy.